The Climate Museum presents the final performance of Climate Speaks, a citywide youth spoken word program dedicated to themes of climate change and social justice. After participating in interdisciplinary workshops on climate change and poetry, students submitted original poems to enter the Climate Speaks competition. Selected candidates will receive performance training and mentoring in May before auditioning to become finalists. The evening of Friday, June 14, finalists will take the stage of the Apollo Theater for a live performance! We’ll be announcing more 2019 events soon. For updates, subscribe to our newsletter. We provide our museum community with opportunities to use the arts to examine the realities of climate change. 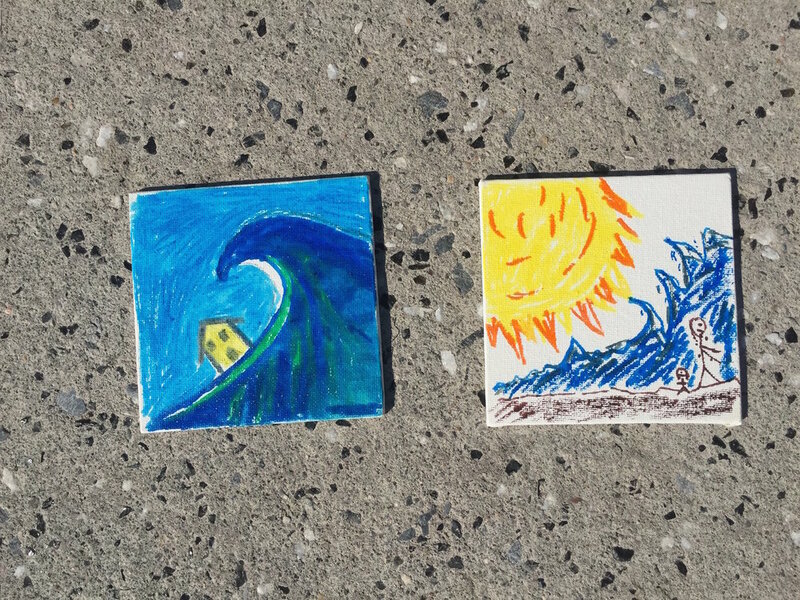 Arts events include spoken word performances by members of our Youth Advisory Council, a mural painting in the Bronx, and a citywide arts activity for which participants decorate a tile to express what climate change means to them. The urgency of the climate crisis demands a public confident in the fundamentals of climate science and ready to act. 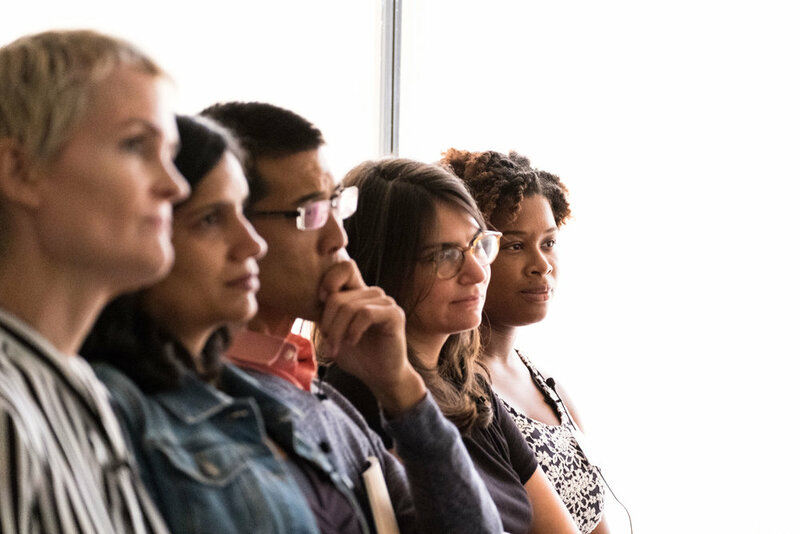 We’ve held various events to help make climate science and solutions accessible to audiences of all ages, including a citywide Ask A Scientist Day with climate science experts, lessons at NYC elementary schools, a teacher training in climate change education, a solar energy workshop, and more. We’re proud to partner with many of NYC’s leading environmental justice, youth development, and other community institutions, many of which have nurtured and defended their neighborhoods for decades. 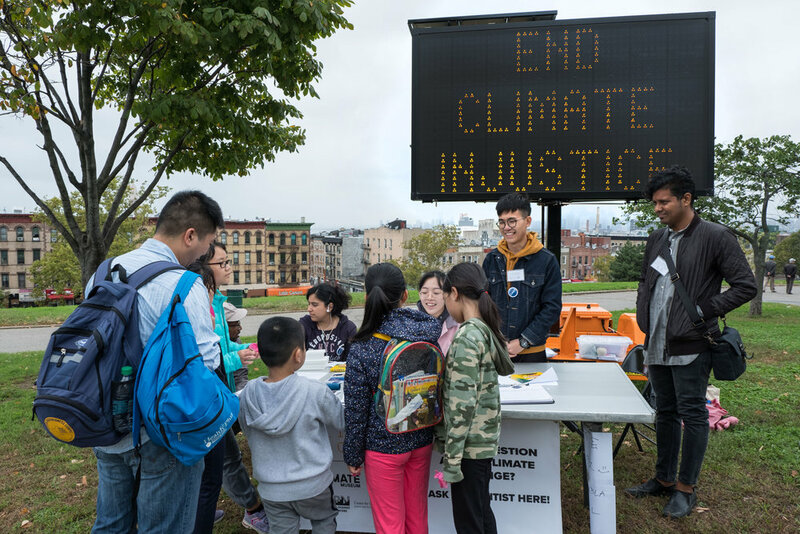 In partnership with local organizations, we’ve co-presented walking tours through East Harlem and the Rockaways, tabled at a climate resiliency festival in Hunts Point, co-hosted a climate justice teach-in in Brooklyn, participated in climate marches, and more. We’ve continued to build the climate conversation through a variety of screenings, panels, and talks. We hosted events for Climate Week NYC in 2017 on climate emotions and in 2018 on civic collaboration in the time of rising seas, featuring the documentary Station 15. We frequently participate in panels and talks; for example, we delivered a keynote at the First International Symposium on Climate Change and Museums and have spoken at venues including EcoCity World Summit 2017, United Nations Day 2018, the National Museum of Women in the Arts, the Yale Environmental Sustainability Summit, and the Explorer’s Club. Climate Museum staff have also lectured at various universities including Columbia, NYU, SVA, and RISD, as well as at middle schools and high schools in NYC.